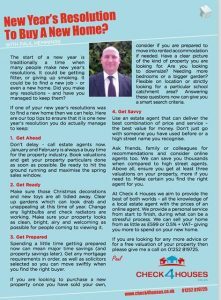 The first few weeks of January have been super busy for us here at Check 4 Houses. 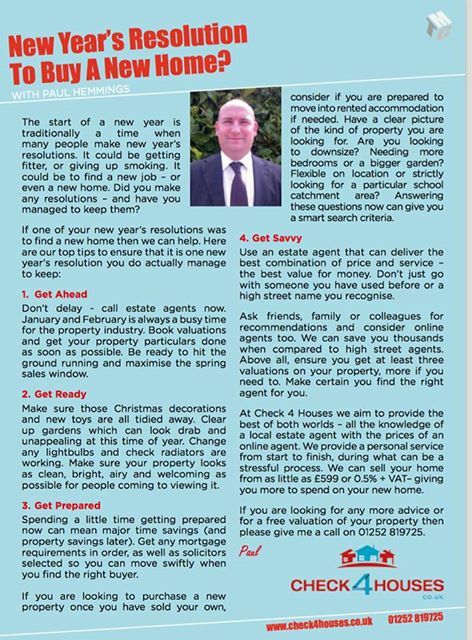 Paul has been out on lots of property valuations. Clearly local people in Fleet, Farnborough and Aldershot are keen to maximise the Spring sales window. We love getting out and about meeting people and supporting them on the journey of selling their property – which can be stressful. We are often reminded, as we have been this week, that even just choosing which estate agent to use can be a real minefield. On the one hand, the rise of online agents has brought greater competition into the estate agency market and helped to bring down prices. On the other hand it seems to have led to increased confusion. In the old days, perhaps you knew what you were getting. But now with so many agents available, all with slightly different packages, it can be difficult to know which to choose. At Check 4 Houses we do our best to make things simple. We urge people to always check the small print of the sales contract. Ask the questions about any nagging doubts and make sure you really understand what you are signing up for. 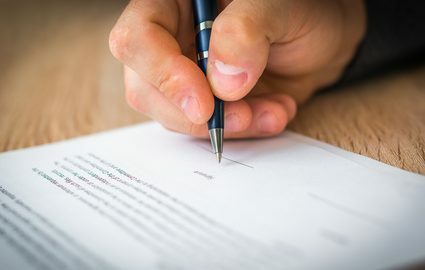 For example, many people do not realise they have signed in to long exclusivity deals, leaving them stuck with what they might feel is an underperforming agent for months. 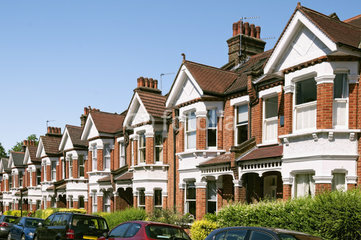 In a property market such as ours that could cost you valuable time and money. Some online agents (especially those advertising heavily on TV) might seem like they offer a great deal, but do you realise that you may have to do viewings yourself? Some people might be very uncomfortable with this, having to deal with buyers directly. Another area of confusion is around ‘Buy now, pay later’ options. For years the estate agency market was based on no sale, no fee. You only paid an estate agent once your house sale had completed. So if a sale fell though (which unfortunately it sometimes did), you hadn’t lost anything. This gave you security that you were only paying the money to the agent when you had it – once the property had sold. Then came online agents (including ourselves) offering much lower fees if you paid upfront. “Pay just £499 now and save yourself thousands compared to standard agency fees.” Of course there was a risk that the property wouldn’t sell and you would lose your money. But for many people the risk was well worth taking based on the financial gain. For example, we sold one property in Wokingham last year for £850,000. The owners had decided to pay upfront and use our standard package. As a result they saved themselves nearly £15,000 in fees. A third option has now appeared with some agents suggesting that you can ‘Pay Later’, meaning that you can still take advantage of a low sale price without having to pay it up front. However what some people don’t realise is that pay later does not mean pay once the property has sold. If you change your mind and do not sell the property then you still have to pay the fees. It isn’t the same as a no sale, no fee option, even if it might appear to be. What is the fee and what is included? Do you do accompanied viewings or do I have to? Does the fee include a For Sale board or not? Is there any limit on the number of photographs you take, or websites you will advertise my property on? Am I tied in to using any of your other services, such as an EPC, solicitor or mortgage broker? Please can I read the full Terms & Conditions of the sales contract? Asking these questions of each agent should ensure you have a level playing field to assess the agents on. You can then choose the right one for you.